In three years, 88rising has signed multiple musical acts and produced multiple albums. Its founder said he’s working on film and TV next. It’s been called a music label, a management company, and a YouTube channel at times. "People can think however they want, and that’s the cool part of it," Sean Miyashiro, the CEO of 88rising, which was founded in 2015, said. "Because we’re so young, it’s OK that people haven’t properly defined us." With plans to host its first music festival and kick off a North American tour this month, Miyashiro has been thinking about the future of 88rising, which he said he wants to turn into an "omnipresent media company." A few days before a mid-September interview with NBC News, he had been in South Korea taking meetings about unspecified plans. Having teams in place to take care of the festival has allowed Miyashiro to focus on other things, he said, like how 88rising can become “the face of Asian culture globally” across all mediums, much like how Disney operates. It’s been an eventful three years for 88rising, which has received investment from U.K.-based advertising giant WPP as well as Third Wave Digital, a company that invests in internet media companies. In the three years it has existed, 88rising has represented multiple music acts — including Indonesian rapper Brian Imanuel, who performs as “Rich Brian”; Chinese hip-hop foursome Higher Brothers; and Japanese-Australian musician George Miller, who performs as “Joji” and was previously a successful YouTube personality. The company has also produced a compilation album, multiple solo albums, and several video series, and its artists have played sold-out shows internationally and in the U.S. The 88rising roster is slated to perform at the Head in the Clouds Festival Saturday in Los Angeles, followed by a tour that's scheduled to hit 17 cities in the U.S. and Canada. Those events represent multiple firsts for the company as it aims to mature. The festival and tour are the result of more than half a year of planning, according to Miyashiro, the longest lead time 88rising has worked on something. It follows the company’s first group album, and the festival will incorporate collaboration with outside partners and artists. 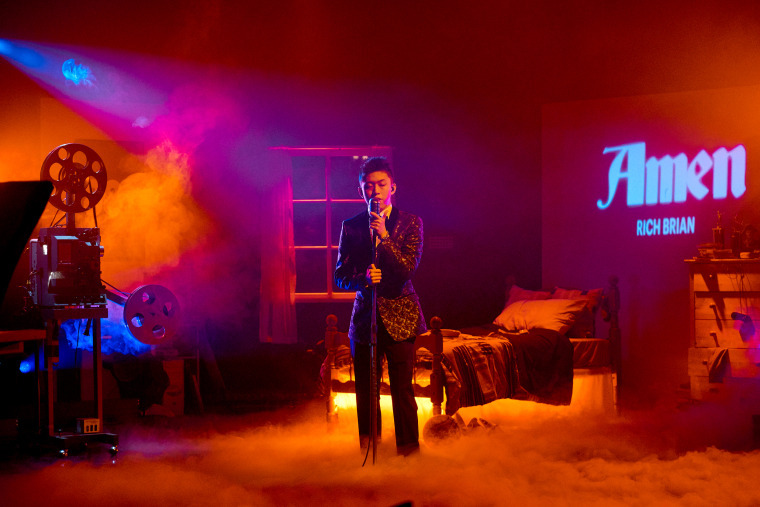 “It’s a lot more involved,” Ollie Zhang, a manager who has been at 88rising since the beginning, said, comparing the event to previous ones the company has produced. Among the lessons Miyashiro wants to implement as his company matures is putting people in positions to succeed, he said, as well as having his employees become specialists as opposed to generalists. “Being scrappy is part of our inherent nature, but hopefully we get a little bit better,” he said. The experience working at 88rising has been a positive for Zhang, who said he wanted to pursue a career in music growing up in California but didn’t see opportunity until he made his own. But the company's success hasn’t come without pitfalls. Now that the company is expanding beyond its “DIY” roots, Miyashiro said he has needed to worry more about gatekeepers and the politics of the entertainment industry. The company’s success may also be a "double-edged sword," Menchavez added. The company has also often been a target of criticism from multiple angles, including whether their success in hip-hop is an appropriation of black culture, whether they are doing enough to break Asian stereotypes in the U.S., and whether they represent the full diversity of Asian cultures. While it may be broad, Miyashiro said he pays attention to the criticism, feels some of it is fair, and said the company has learned. Regarding criticism that 88rising is appropriating black culture, Miyashiro noted that the company is coming from a place of appreciation, which he said brings the world closer. Miyashiro grew up in California with hip-hop ingrained in his upbringing, he noted, adding that he had tried graffiti, break dancing, and deejaying — each an element of hip-hop culture. He added that, with 88rising's continued success, he hopes that critics will be satisfied.